Spring has (partially) sprung in Lancaster, so what better way to channel your inner flower child than by taking the best that nature has to offer and using it in your skincare routine? As the summer months draw closer and I shed my layers of coats, jumpers and scarfs, I like to give my skin a similar treatment and prepare it for the ‘barely there’ makeup that I adopt in the warmer weather. So here are a few natural skin savers that will leave you feeling fresh faced and ready for the summer. You may think that rose is just a pretty flower used for its delicate perfume, but you’d be hugely mistaken; rose is a beautiful ingredient used for its anti-inflammatory and cooling properties. This would be a lovely ingredient to use on your skin as an after-sun or simply to even out your skin tone if you want to go foundation free. Sadly, rose petals are hugely expensive, so many skincare products avoid using it or buy poor quality rose in order to cut costs, so here is a list of the best rose filled products on the market. It is not advised to use rose oil neat on the skin, so rose water is an easier alternative for direct contact. This will still cool and calm any irritation and can even be used as a toner. The mother of all essential oils. Lavender is one of the only essential oils that can be used neat on the skin (although it’s always best to do a patch test before putting it on your face), so is great as a temple oil to help you relax during exams. In a similar effect to rose, lavender balances the skin and reduces redness, yet lavender is better suited to those whose skin tends to be oilier, as it helps to reduce oil production. For all you fellow sufferers of spots, lavender is an antibacterial and anti-inflammatory ingredient, so dabbing a bit of oil on the afflicted area could help to reduce redness and swelling. Honey has been used for thousands of years as a skin and hair treatment. Archaeologists have even found honey in Egyptian tombs that, although crystallised, was still safe to eat. In skincare, honey is used for its antimicrobial and anti-inflammatory properties and using it raw on the skin makes for a gently moisturising face-mask (leave for 20 minutes then rinse thoroughly with warm water and a flannel). Manuka honey is particularly good for oilier skin; made by bees which feed only on tea tree flowers, the cleansing properties of the tea tree is transferred into the honey. Manuka honey can also be used as a facemask for spot prone skin or used to speed the healing process of wounds. Honey is also a humectant (drawing water into the skin and hair and keeping it there) so works wonders to get lovely soft hair ready for the summer. You could mix one tablespoon of honey with your favourite shampoo to boost shine and manageability. Okay, hear me out on this one. Raw eggs are high in protein (we’ve all seen gross videos of bodybuilders drinking eggs), so this protein helps to strengthen your hair too. 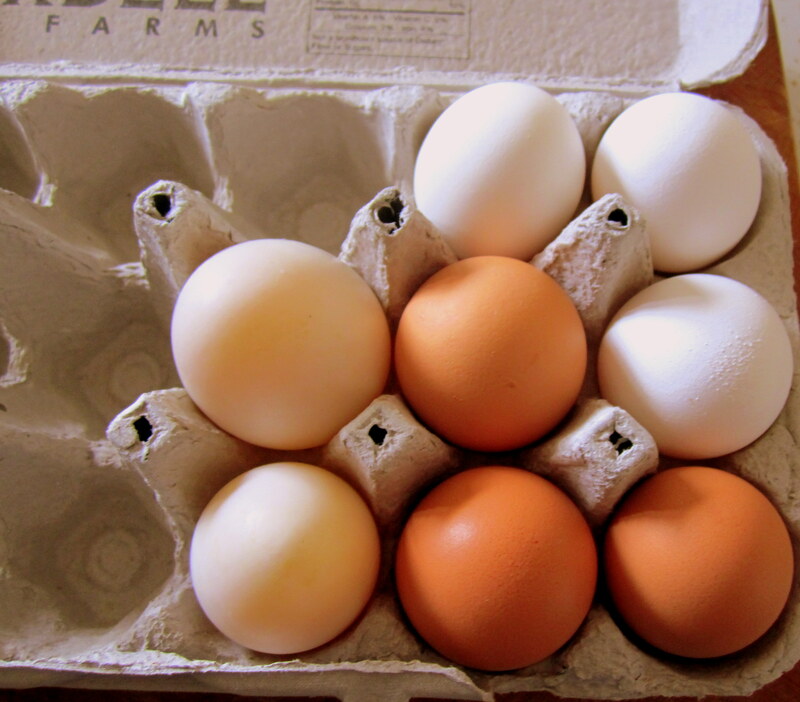 For collarbone length hair like mine, break four free range eggs into a bowl and remove the yolks. Wisk the whites until they start to froth and become slightly thicker (but not peaked like for meringues), apply it to the mid lengths and ends of your hair and wait for 20 minutes, rise off with your favourite shampoo for stronger hair. Unsurprisingly, very few high street products use free-range eggs, but I have been using this hair mask from Lush once a week for the past 2 months and have had really noticeable results.